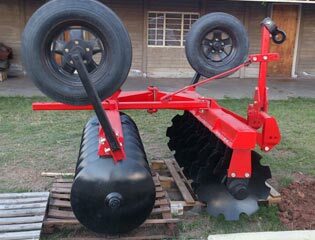 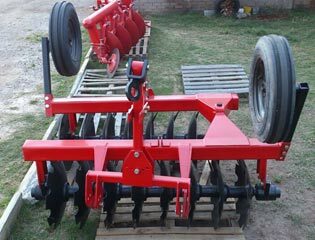 The Offset Disc Harrow has a heavier weight per Disc and thus have the penetration ability to break down large clods normally left after disc ploughing or Chisel Ploughing in hard grounds. 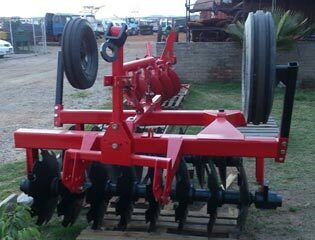 It is robust construction, used as mounted or trailed and ideal for chopping and mixing of stubbles and crop residues in the soils. 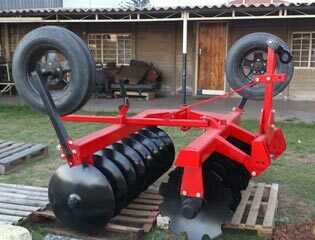 The disc Harrow prepares the seed-bed leaving the soil in granular form which is the most suitable structure for plant growth. 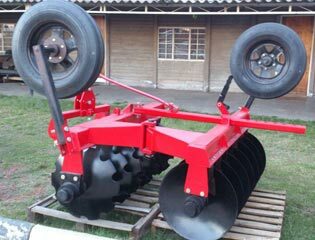 It aerates the soil, helps to conserve moisture for longer periods and eradicates weeds.